** I'm in the final stages of constructing a doubletop steelstring guitar. This is the first steelstring I've made in decades, and the first ever doubletop steelstring. 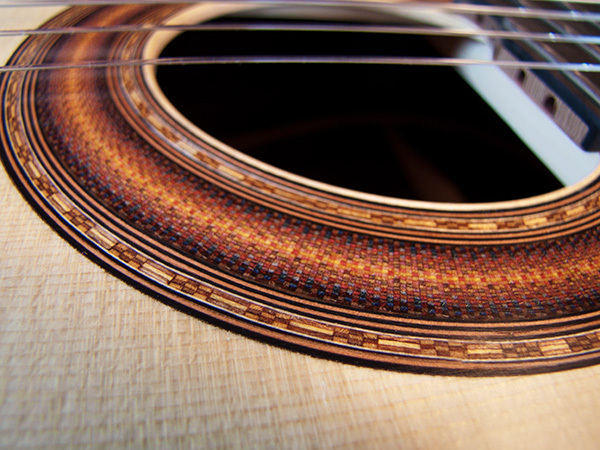 Both top laminations are cedar, as on my cedar classicals, but the inner honeycomb layer is significantly thicker to withstand the greater tension of the metal strings. 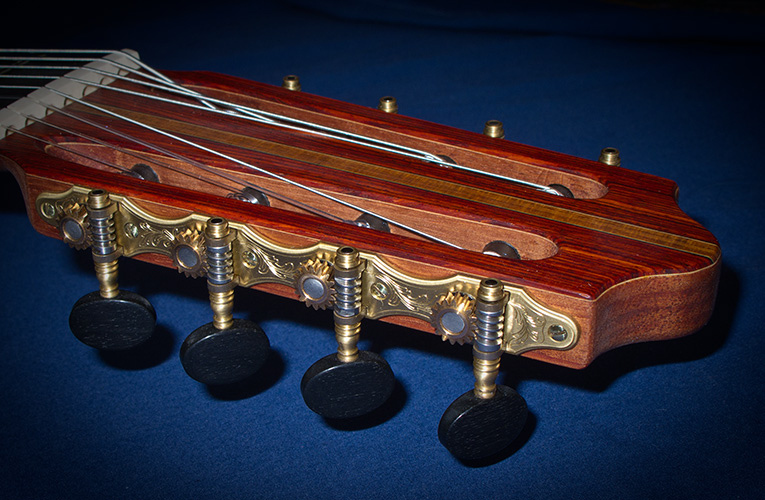 Back and sides are padauk; bindings are Macassar ebony -- an absolutely stunning combination. 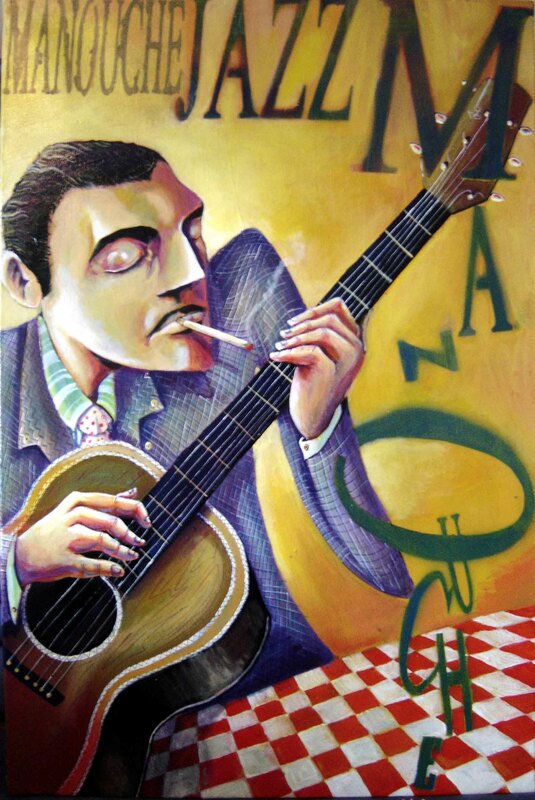 The guitar is meant for fingerstyle playing. It has a 12-fret neck, a cutaway, a Ryan-style bevel, and a Baggs internal microphone. Pictures of the completed instrument coming soon. ** I've designed a sliding door for acoustic ports on my guitars and will install the first one on a classical now underway. It's in ebony, but it could be done in other woods, possibly to match the wood of the bindings and bevel. The door is held in place with magnets and can be set in any desired position. Pictures soon. 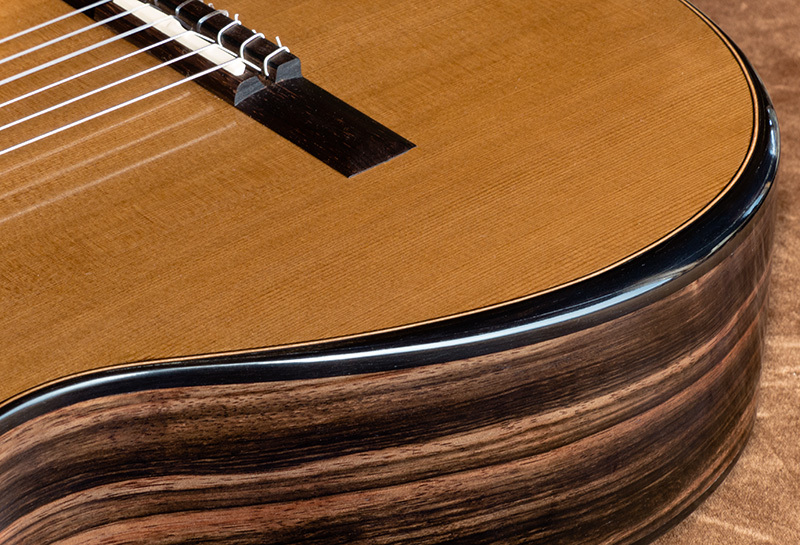 At the request of a customer from New Jersey, guitar #286 featured "bevels" on both the front and back. These are amazingly comfortable. Since then I've offered bevels as an option. See the Features page for more details. 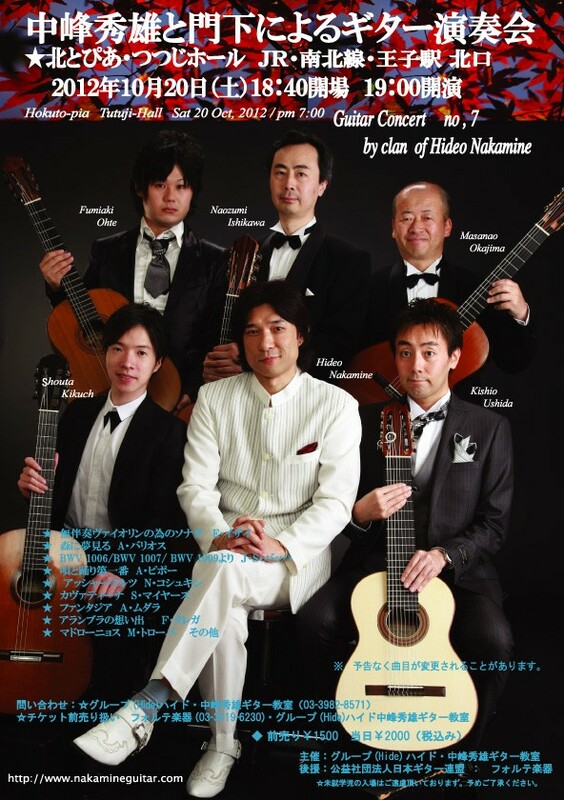 Hideo Nakamine and a group of friends gave a series of concerts throughout Japan a few years ago. 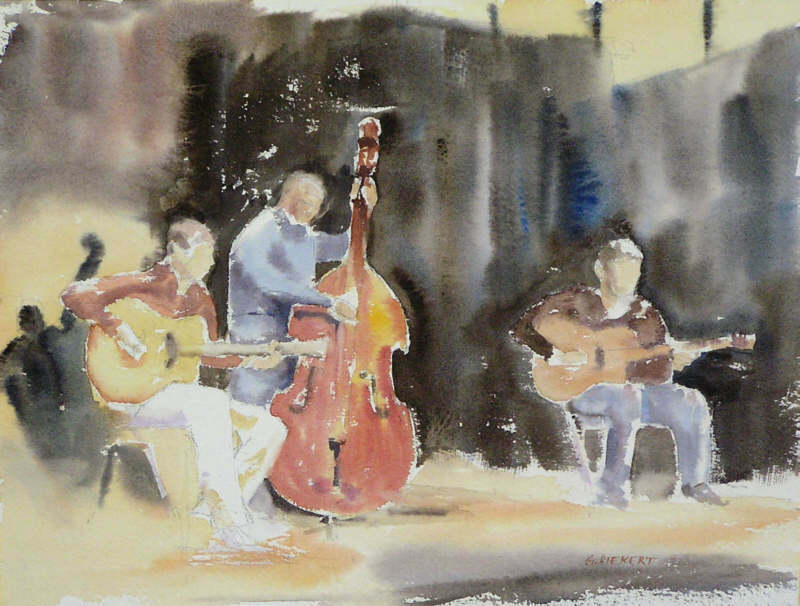 They played with 5 Mueller doubletop guitars -- two 8-string instruments and three 6-strings. 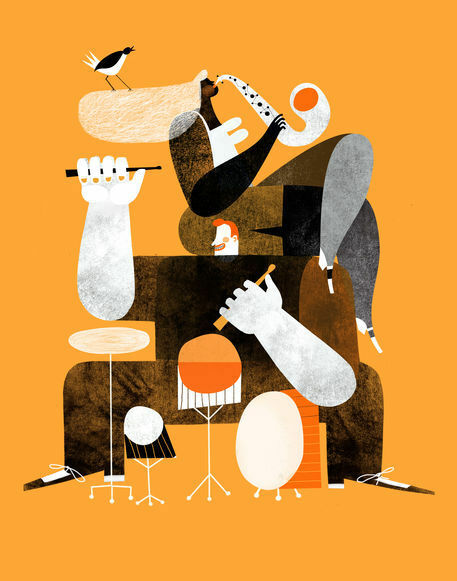 The sixth guitar is a Dammann. I've recently created an exciting new rosette design. Rather than a single pattern that I repeat over and over, the design is meant to be a theme for what will (hopefully) be a long series of variations. I call it the Sunburst Series. Every rosette in the series will be unique. 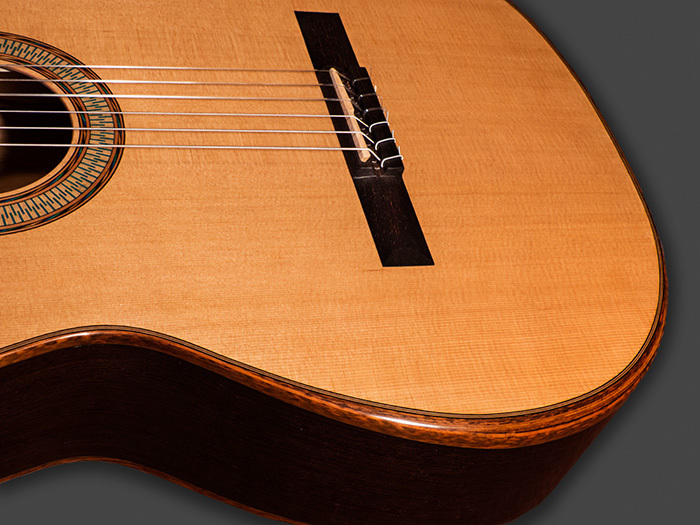 Based on the number of letters I receive from builders, it's apparent that many luthiers interested in doubletops visit my site. In order to both improve my answers to their questions and avoid repetition, I've decided to expand some of my replies into small essays. They'll be featured in a Doubletop Cookbook on the Essays page. At the request of a customer in Japan, I made my first 8-string guitar in 2010. A first for me, this may also have been the world's first doubletop 8-string. Results were outstanding. The range and potential of this guitar has me thinking that an 8-string just might be the ultimate classical guitar. I made a second 8-string, also for a customer in Japan, and then a third. 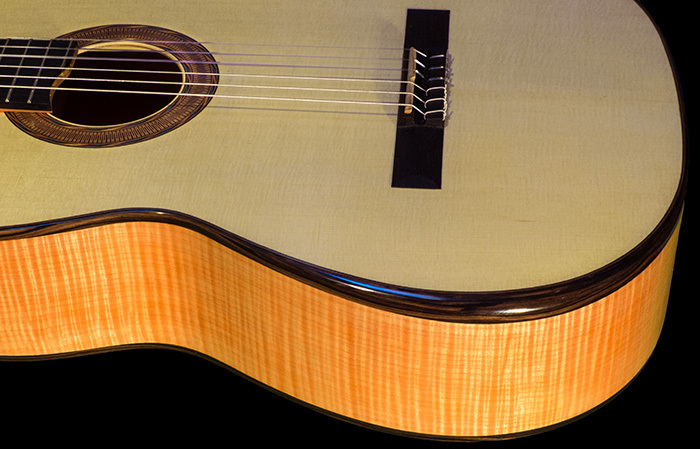 See my article about 8-string guitars on the Essays page. 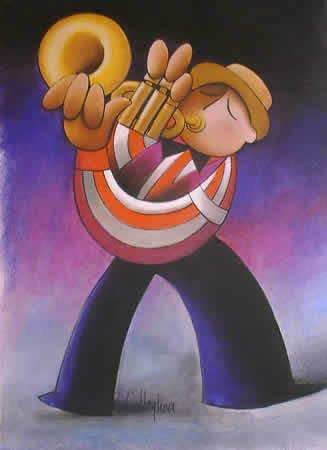 "VERY RESPONSIVE...VERY WELL-BALANCED...SOUNDS LIKE A MATURE INSTRUMENT ALREADY.... A DELIGHTFUL NEW FRIEND!"